genuine mudpie - i will rediscover what inspires me. Lip balm made with simple ingredients, from Our Lives with Bella. 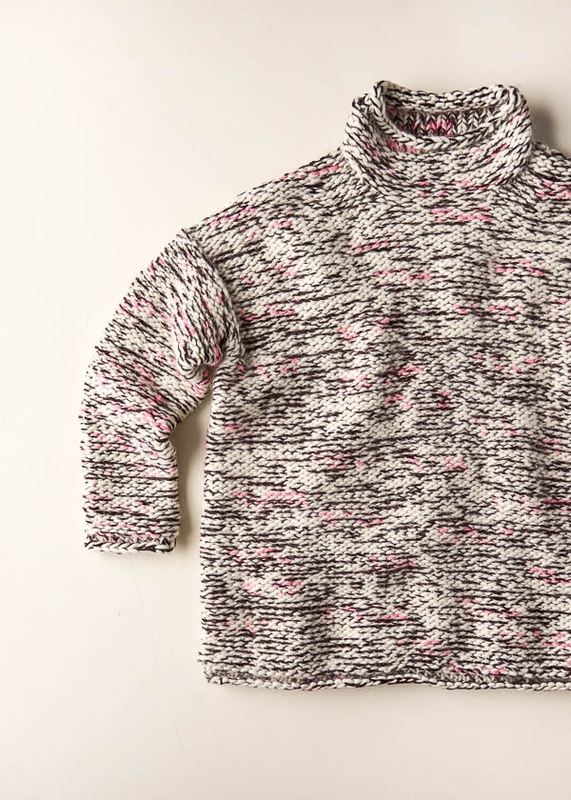 I love funnel neck and marled yarn. 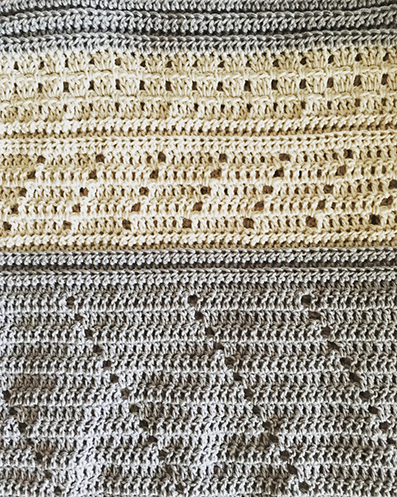 Pattern by Purl Soho. Of course I meant to write this post before Valentine’s Day to include this cute and practical craft! 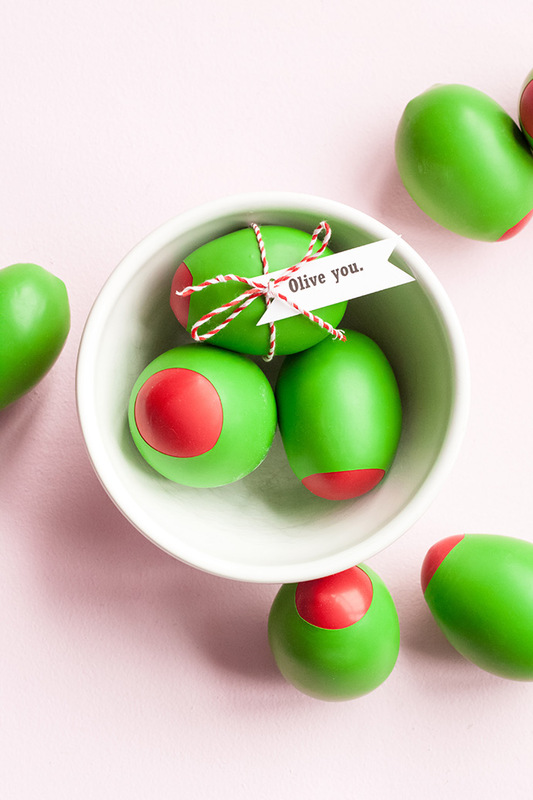 But love can be celebrated any day and I’m sure these olive stress balls will be greatly appreciated anytime as a gift :D From Handmade Charlotte. 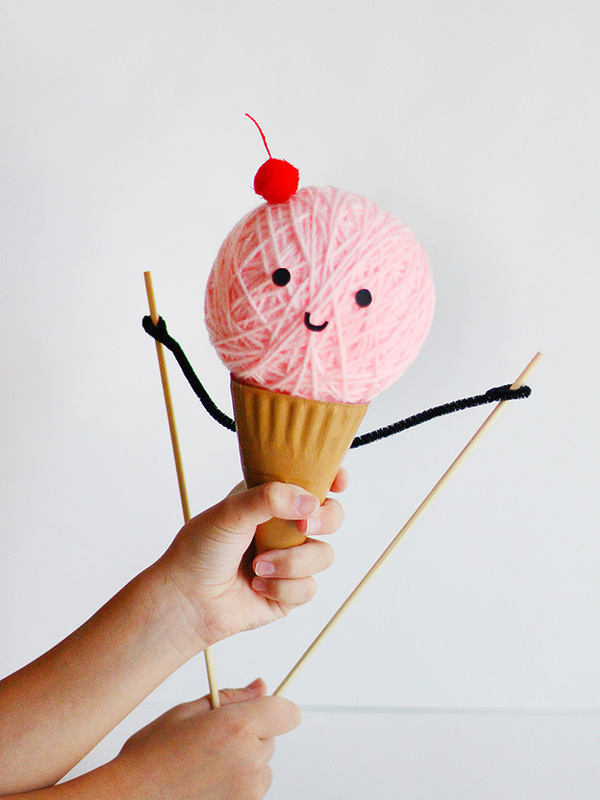 Also from Handmade Charlotte, a yarn ball, an ice cream cone, a puppet — what can be more adorable? It is not too early to dream of spring and boxy cotton sweaters. I particularly like how the centre seam is made an element of design rather than hidden. From Hooked on Tilly. Also a boxy sweater, but a cozy one. I really like the cowl neck. 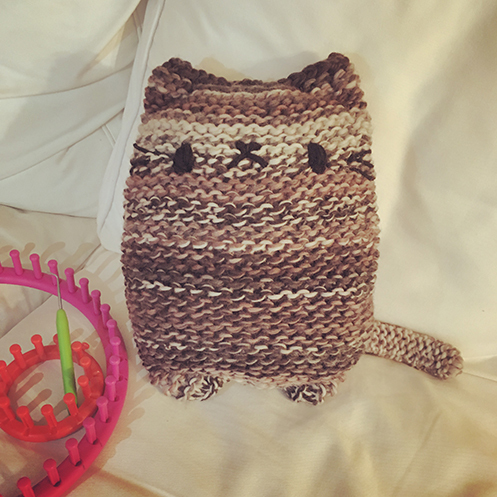 By Lion Brand Yarn (follow link in post for pattern). Hope everyone have a wonderful week! 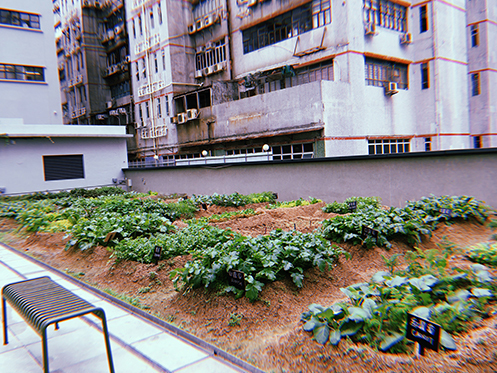 This was something that I started on my trip to Hong Kong. Working on this got me through excruciatingly long flights and some moments of sadness as well as a cold. I actually managed finishing most of the body during the trip and finished the sleeves after I came back. I used the Red Heart It’s a Wrap that was sent to me from Yarn Canada to review. 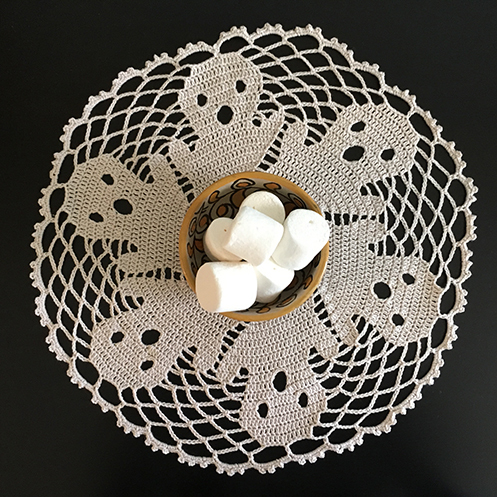 Remember the ghostly doily? So I finished the doily AND made this sweater AND still have yarn left for probably another doily. The yardage is incredible! After school started back again I didn’t have as much time but I did knit a hat! 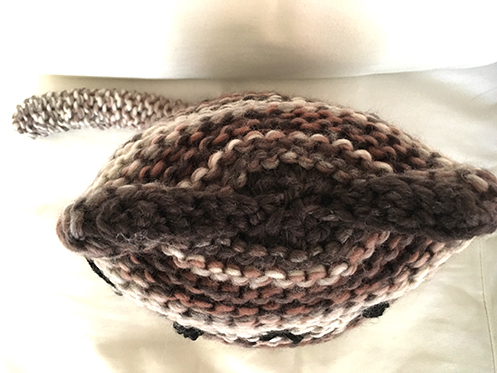 I’ve loom knitted a hat with with this Caron Chunky Cake before but the wide gaps between stitches (part of loom knitting but I think it’s fixable, I just don’t know how) make the hat not very warm… so I figure I’ll unravel and knit a 2x2 rib one. 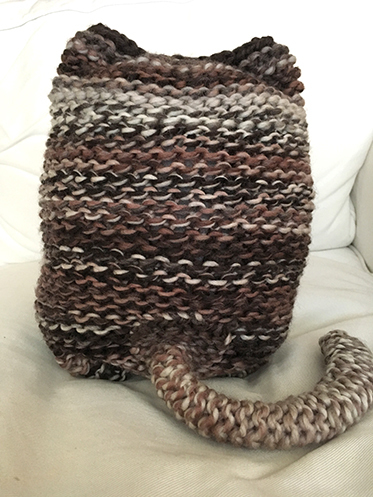 And then I thought it’s a bit too short and the brim not wide enough, so I unraveled again and added stripes with the leftover grey section of the yarn cake. 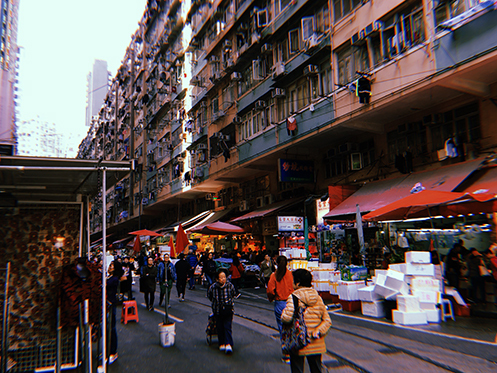 Over Christmas I made a trip to Hong Kong with my mom and sister, because my grandma is unwell. We tried to spend as much time as possible with her, knowing also that having visitors was also tiring for both my grandparents. So my sister and I did quite a bit of wandering. 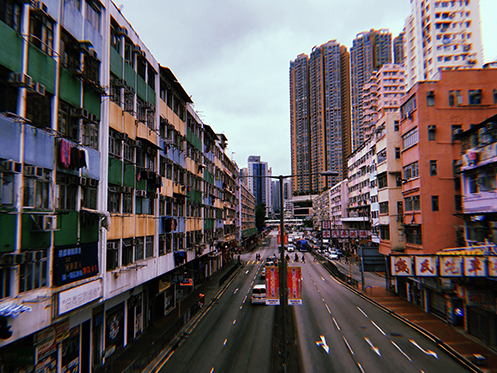 The grimy streets, the humid air, the plume of exhaust every time a bus passes by on the narrow street. The palm trees, the emerald mountains, the tropical plants blooming in December. People who would speed walk right into you if you don’t make way quickly enough. The sea that always smells faintly like the sewer. I love every tree, every brick, every grimy sidewalk, every pedestrian bridge in this city. But I wonder if I would say the same if we never left. If I had to grow up and learn to be an adult in it. If I actually have to live with its various complicated political and social issues now. I don’t know. I don’t even know if I will always be able to visit as freely as I do now, with the ways the said complicated political and social issues are progressing. We’ll wait, and see, and hope. And in the meanwhile I’ll show you some pictures of this beloved city. 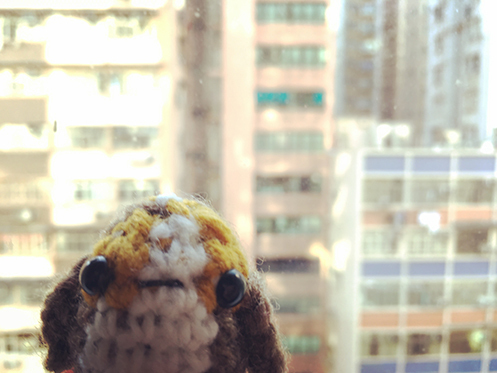 Porg, our travel companion, poses in front of the window at our guest house. 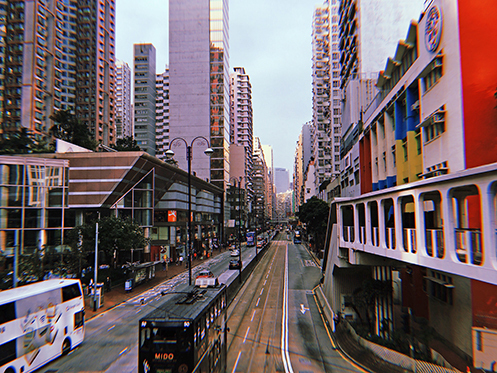 View from a pedestrian bridge on King’s Road with the old style tram. Oil Street arts centre near our guest house. 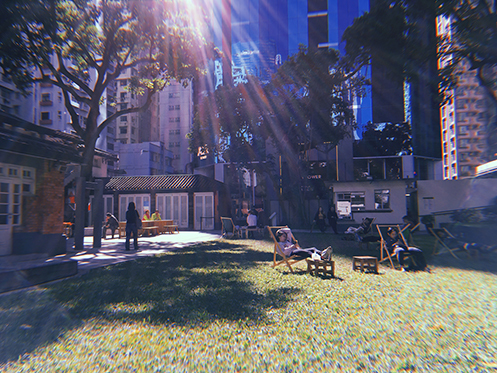 Folks relaxing on the lawn at lunch time. 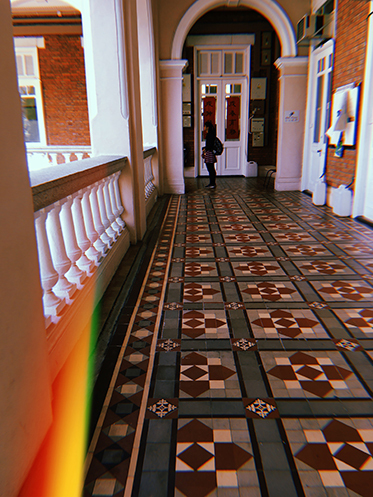 Wandered into Hong Kong University, a colonial institution built in 1912. 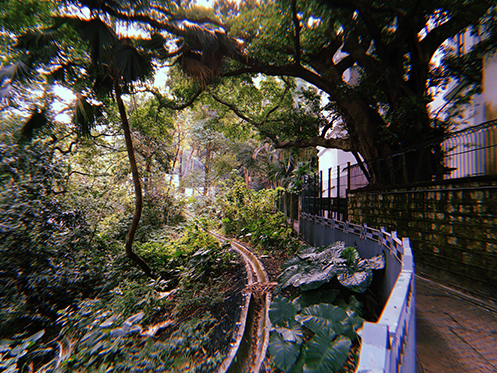 Visiting Hong Kong Park. It has meerkats and lemurs. Much greenery. Also unseasonably warm this time of year. Porg wants a photo. 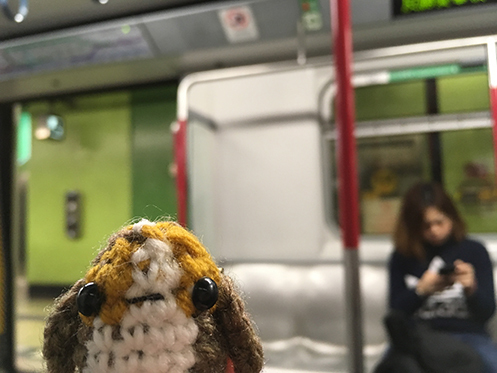 It’s not every day he gets to ride the MTR. Another pedestrian bridge, another view. 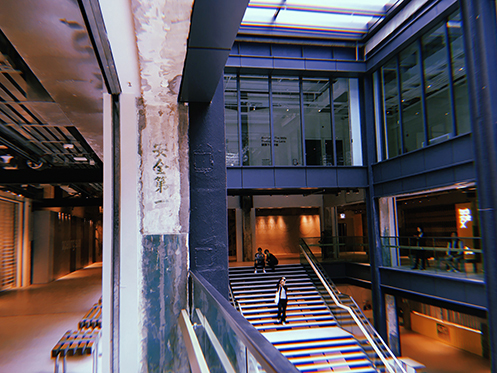 A refurbished cotton factory that turned into an arts centre and retail space, with a thriving rooftop garden. One of the many ghost signs. It’s clear that there are lots of thoughts and efforts put into preserving and showcasing the original structure. Even the benches are made from the original wooden doors. Visited the neighbourhood where my parents grew up and met with my mom and aunt. Also where I went to kindergarten. I have a few specific memories of this place. 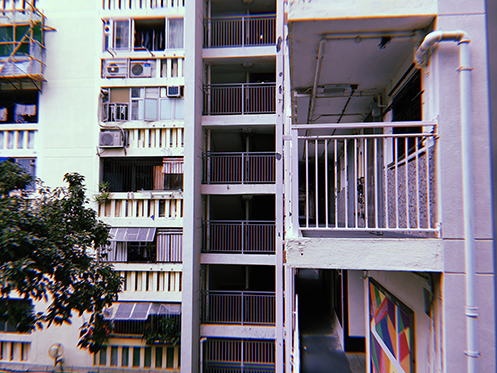 My parents’ families lived in small flats like these. 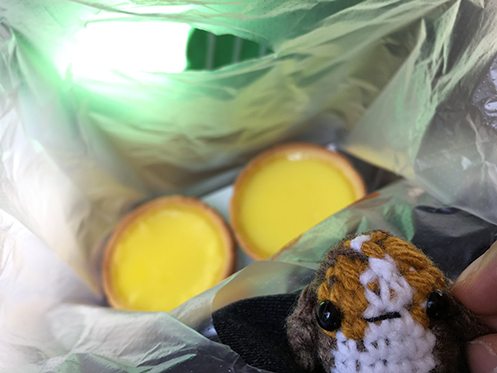 We egg tart lovers. Held on to Porg’s wing just in time to stop him from falling right in. 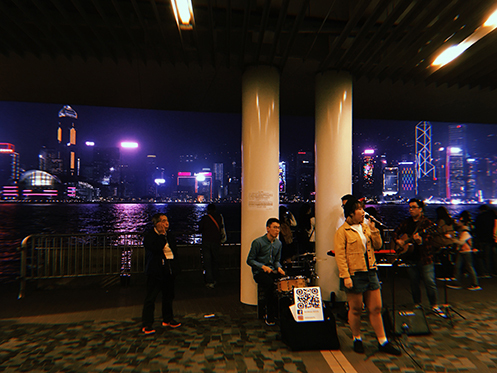 Spent part of our last evening at the harbour, with many groups of enthusiastic buskers, and the backdrop of the iconic Hong Kong skyline. A quick and cozy make. I love funnel neck. By Two of Wands. Intricate stitch pattern inspired by the Great Lakes. 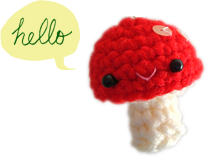 From Crochet 365. Impressed by how much it looks knitted! I’m not super into crochet projects that try to look knit (because there’s nothing wrong with crochet that looks crochet! ), but I do love the look of knitted fabric while my hands prefer to crochet. From My Hobby is Crochet. I’ve always wanted to make a good jacket and this one looks sturdy! 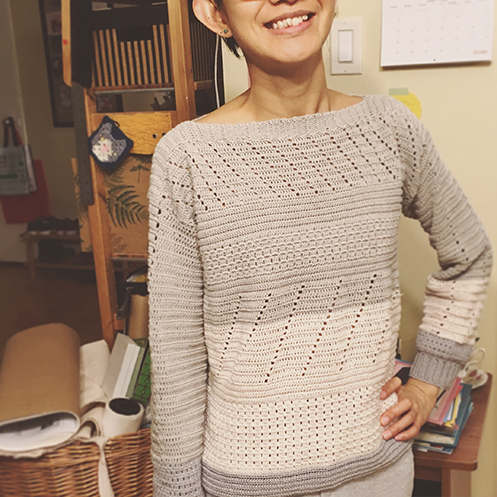 A paid pattern by Elina Vaananen on Ravelry. 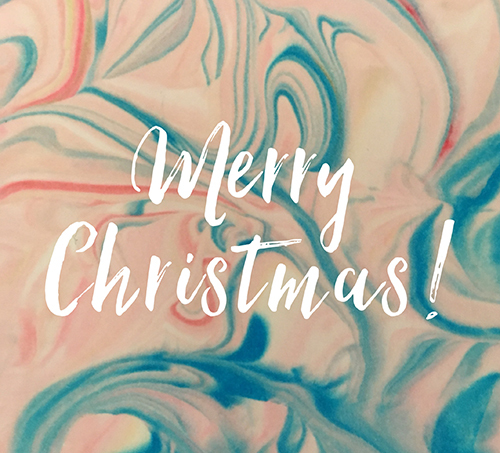 Thank you so much for journeying with me this year. 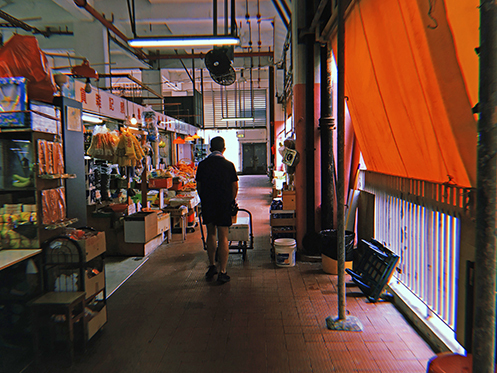 Though my posts have been few and far in between since the fall, this blog has been with me since 2010 and is still a joyful anchor amidst various busy and chaotic times in my life. Thank you for being a part of it by visiting, reading and sharing your thoughts too! Really like the garter panel on the side of the sleeves and looks like a beginner’s make I can handle :) By Tin Can Knits. Weeee! 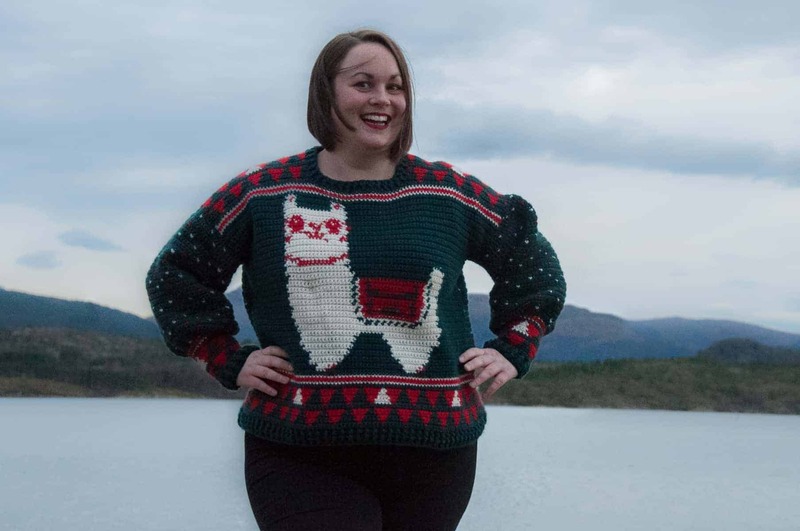 An alpaca holiday sweater! *heart‐eyes x1000* By Joy of Motion. 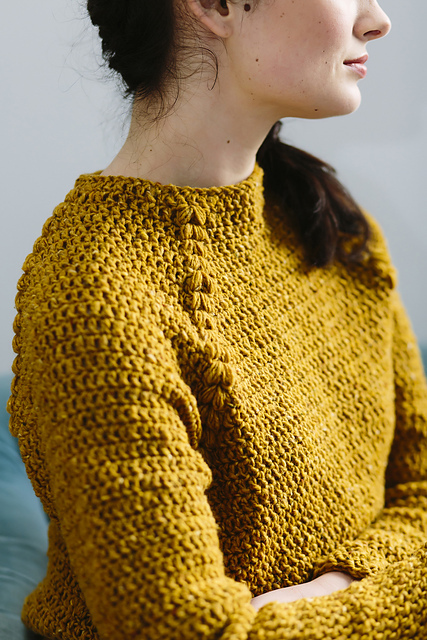 I think this would be a perfect project to learn round yoke colour‐work sweaters. By Sewrella. 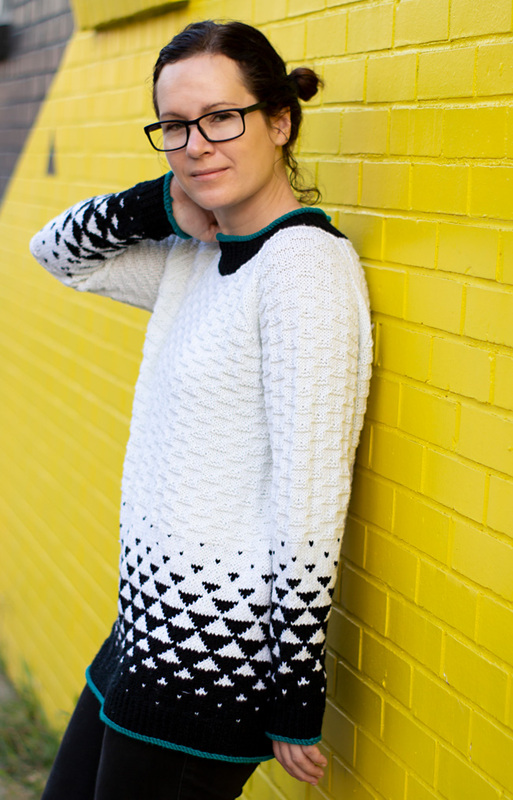 I love everything about this sweater — the raglan detail, the simple design, and the funnel neck. By Eleven Handmade in issue 108 of Inside Crochet (follow link on Ravelry). Love especially the pops of teal around the edges! And the triangles of course. By Amy Gunderson in the latest issue of Knitty! It is also the time of year when we think about making for those beyond our own circles of families and friends who can really use our gifts of craftiness with yarn. The nice folks at Yarn Canada are partnering with Bernat Yarn to give away yarn for individuals and groups who craft for a good cause! 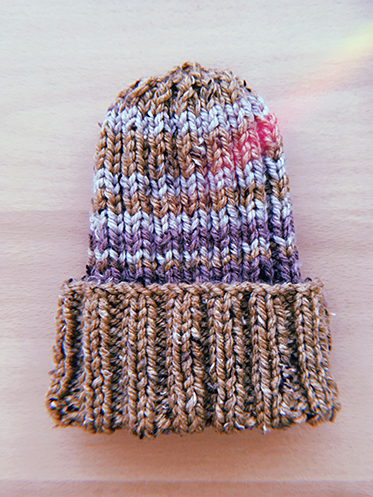 Do you and your friends make scarves and hats for people to find? Or winter gears for shelters? Or soft prosthetics for breast cancer survivors? 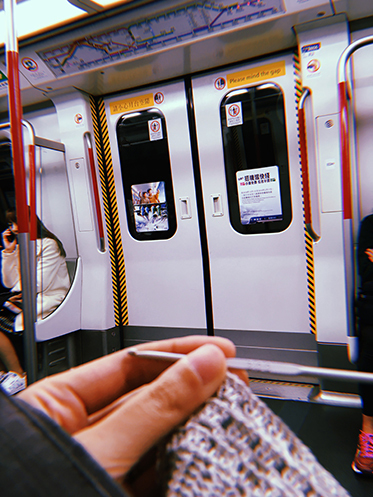 Or practice other kinds of yarn‐kindness? 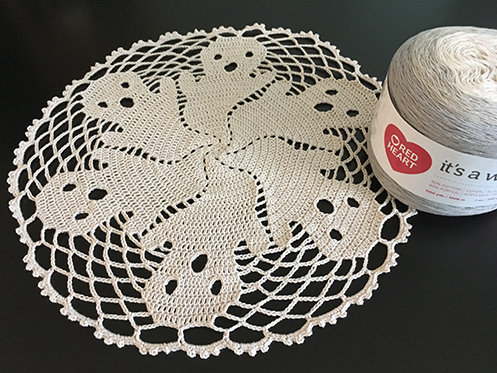 Check out this page on Yarn Canada’s website for more details on how to enter this give‐away for a good cause! 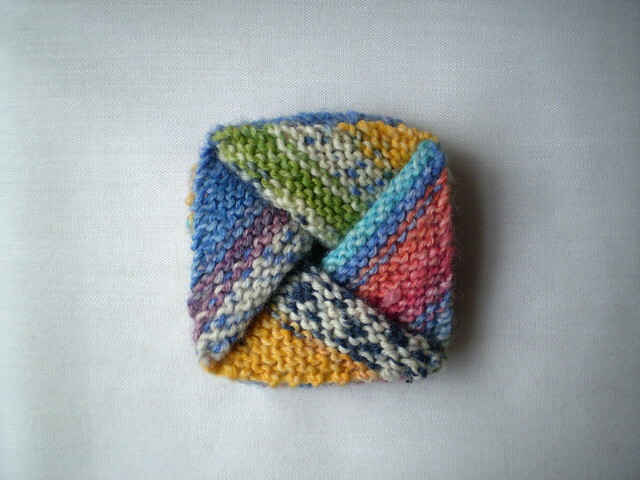 These very cute cup cozies are loom knitted on a 24‐peg loom. 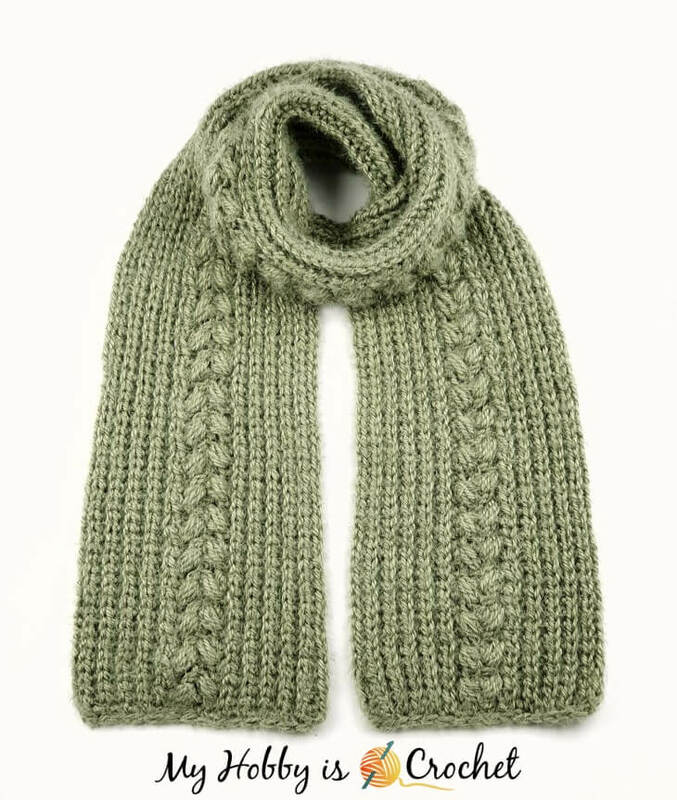 It’s a paid pattern on Ravelry but the how‐to video is free on Tuteate’s Youtube channel (which have excellent and really well‐made loom knit projects!). 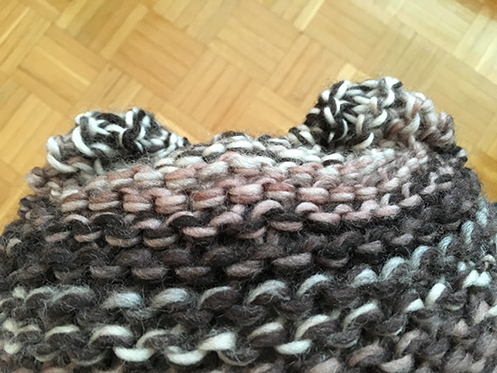 By Mireia Marcet on Ravelry. 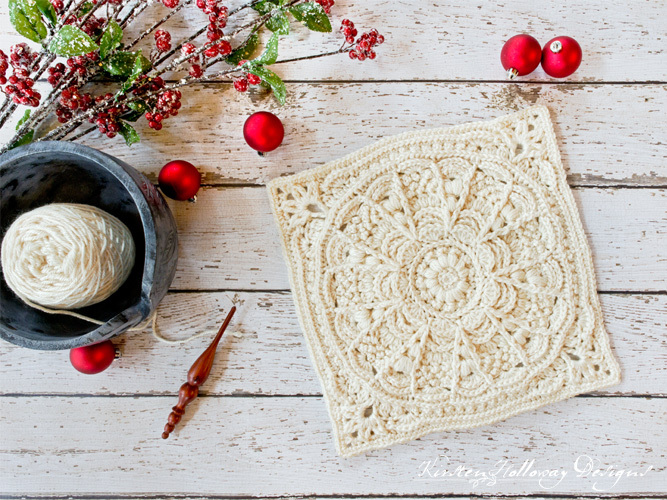 Absolutely stunning granny square by Kirsten Holloway Designs. 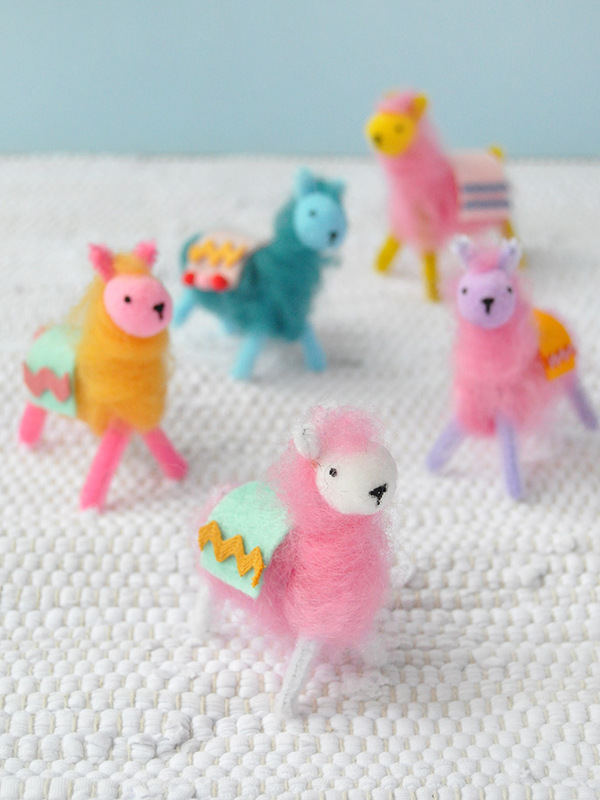 An insta‐gratification wool‐craft, all you need is some tufts of wool, some pipe cleaners, some poms, and some love. Brilliant. From Handmade Charlotte. Yikes! I haven’t written for over a month! I don’t think that that’s ever happened since I started this blog in 2010! Oh man. 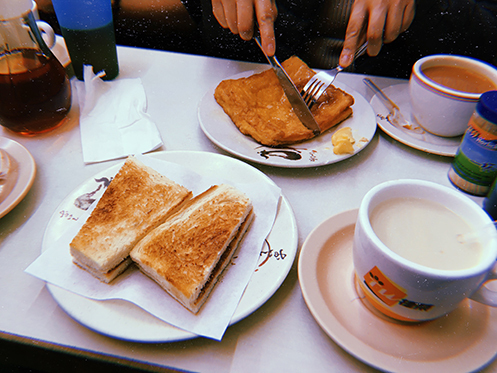 It’s been very, very busy with school and work, just getting a bit of breathing space after finishing a mid‐term paper today… And! We North Americans get an extra hour thanks to daylight saving! So guess what I did with that extra hour? I like to call it the Casper-go‐round — it’s got the perfect Casper head‐shape! My BFF loves all things Halloween, so I’m thinking she will enjoy this even when it’s not Halloween. (and she doesn’t read my blog, so she won’t know this is coming her way. shhh.) This brilliant (free!) 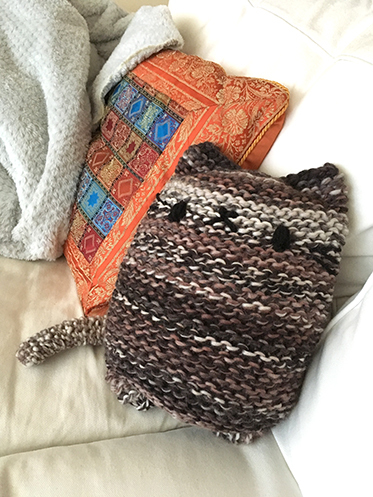 pattern is called “Boo” by Marsha Glassner on Ravelry. The pattern calls for a lighter thread, but for the Red Heart yarn I used a 2.5 mm hook. With 50/50 cotton and acrylic content, the yarn was smooth and soft to work with and has great drape. While I’m trying my hands on it with the doily I’m thinking it would be great for a garment. It has exceptional yardage — 1100 yards per cake (for under $12 CAD!). 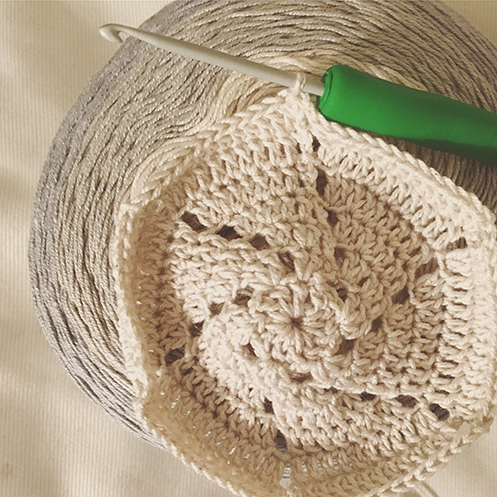 I used less than half of the centre beige section for a 13″ doily, with the “Western” colourway because I’m partial to muted colours, but the yarn also offers other colour combinations that are more bright and cheerful. It would be great for shawls, cardigans, even a toddler’s dress, with all that yardage! Because it is a lace pattern it was necessary to block, which I’m not too familiar with. But I did get some tips from a knitting circle I was a part of in the summer, so I gave that a try, and I thought it would also be a good way to test out a different aspect of the yarn for this review. So first, I soaked a hand towel and wrung out the excess water. Then I rolled the doily in the towel and added more water to it, then carefully pressed the excess water out (but careful not to wring, I was told). 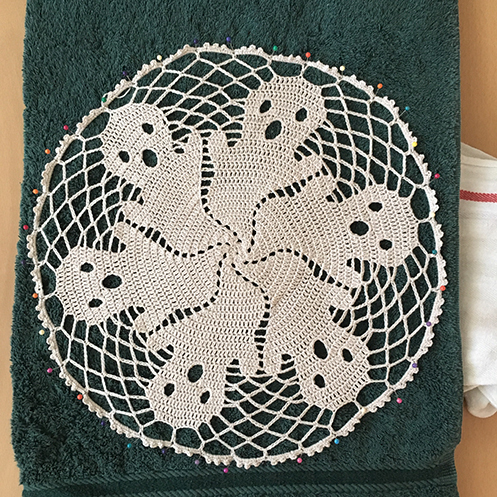 Then I laid the doily on a folded large towel (the plushiest I have, because I don’t have blocking mats), and stretched and pinned it to shape. It only took several hours to dry. 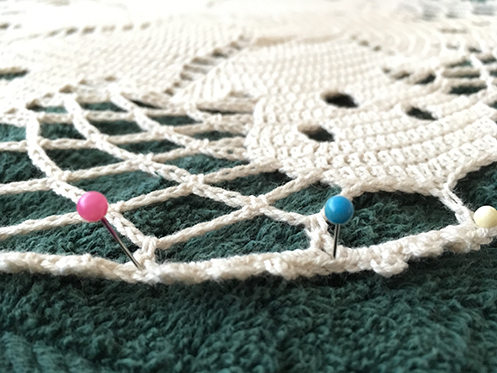 Because of the cotton content of the yarn, it mostly held its shape after unpinning. It did start to spring back a tiny bit, I guess because of its acrylic content (or maybe I was stretching it too much), but I think for this pattern it’s fine for it to shape‐shift a little :) I was thinking if it continues to lose shape I can also press it with an iron under a towel, which I had done with acrylics before. With the rest of the yarn I’m going to start on a crochet pullover pattern that I’ve been eyeing for a long time. It’s going to take a while… but will surely share when it’s done! 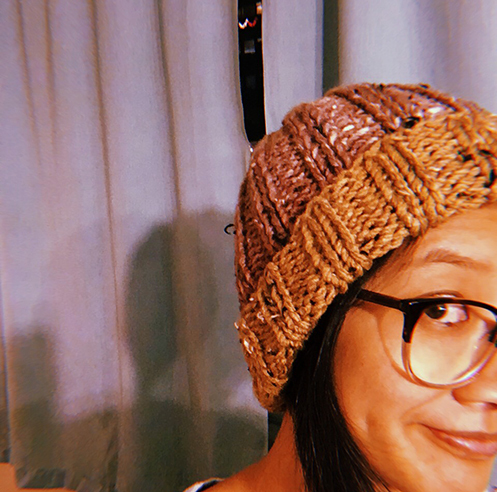 *Disclaimer: I received product from Yarn Canada to write a review of the product; the opinions expressed on this blog are entirely my own. Lovely earring organizers, so handy and they look easy to make. From Oleander & Palm. This reminds me of those candy dots! 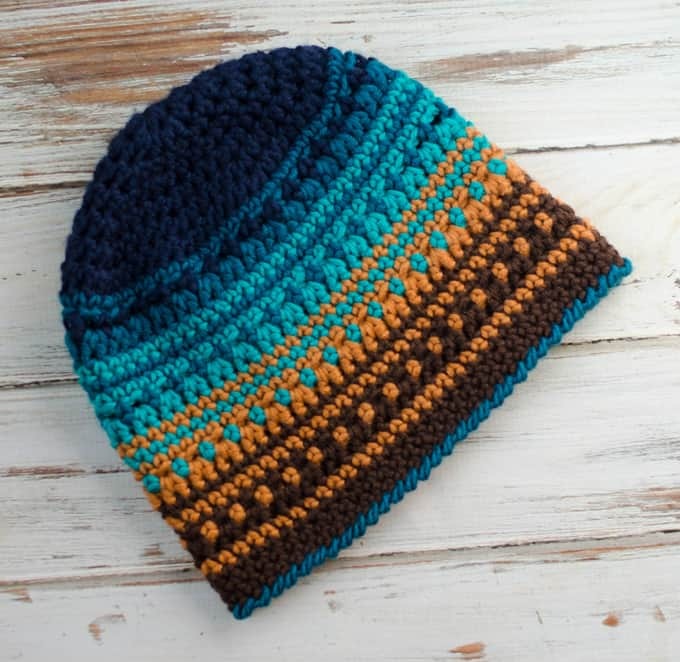 Sweet hat pattern by All About Ami. 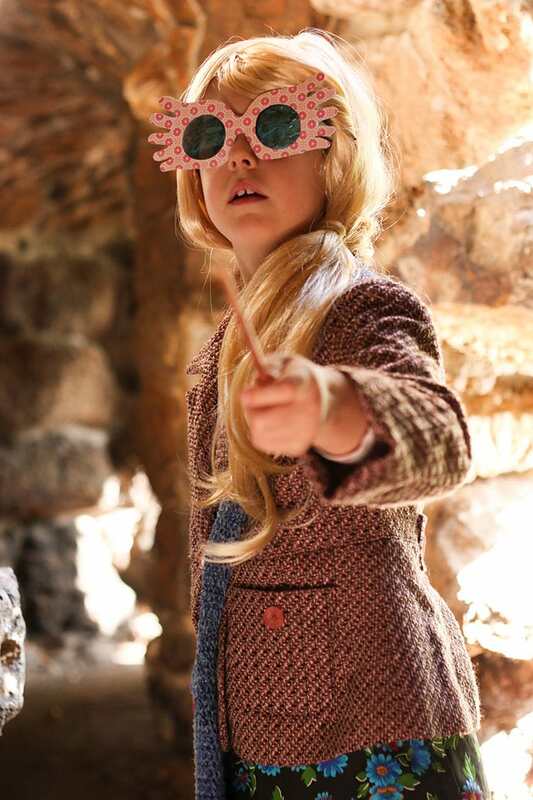 I love Luna Lovegood. Tutorial to craft her fab specs at My Poppet. 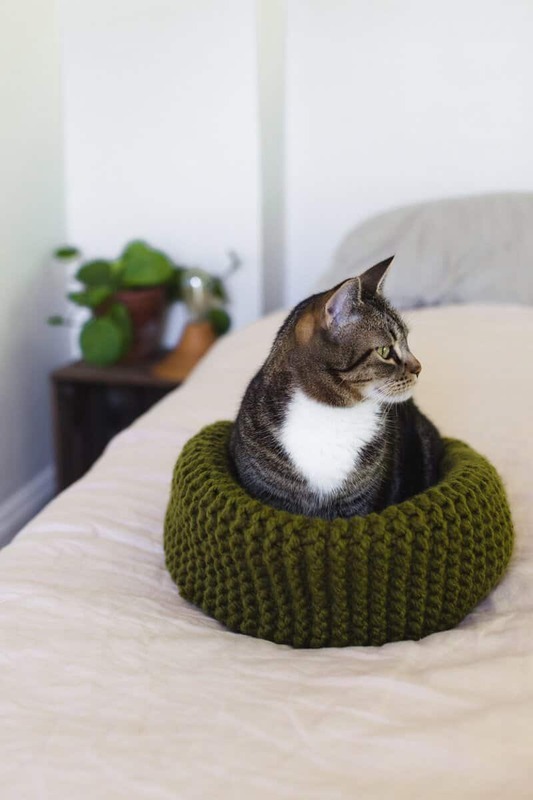 If I have a cat I would make this cat bed. If I were a cat I would love this cat bed. And it’s actually just a garter stitch rectangle, much like knitting a scarf! Best first project. From A Beautiful Mess. Fall baking! :D Brilliant play food set pattern from Mama Bice Makes. I especially love the version with the boucle yarn! 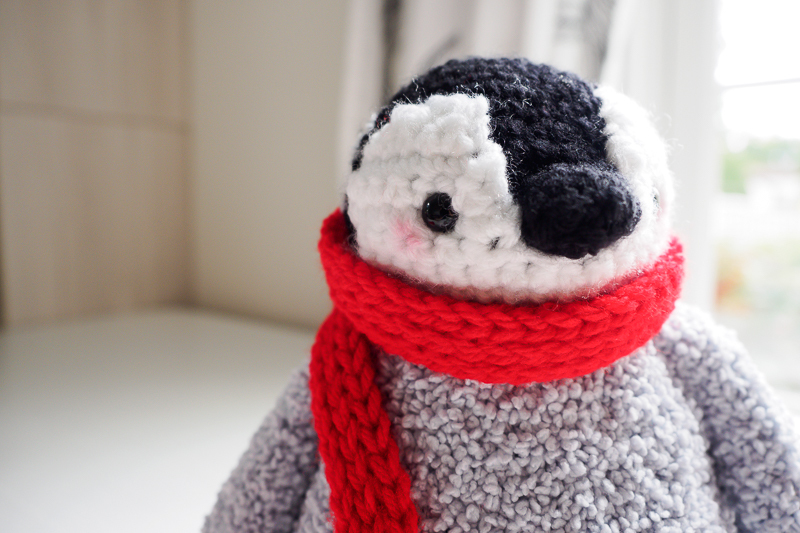 Plush penguin pattern from One Dog Woof. Check out this epic fisherman sweater! And it’s a free pattern! From Hopeful Honey. Magic origami purse. Can make it with lovely bits of sock yarn, and apparently things don’t fall out of it! Will have to give it a try. From Frankie Brown on Ravelry.